Whether you’ve stuck to your new year’s resolution or not, you’ve already made an excellent choice this year—joining us for our first installment of Super8 in 2019! This month, we’ve put their heads together to curate an assembly line of articles across the best in content, tech, code, and design. January’s edition focusses on re-calibrating your productivity for the year ahead. With pieces on building habits, retaining talent, and standing for creativity—we believe even the smallest tweak to your system creates an opportunity to create, grow and change for the better. 1. What is productivity guilt? (And how can you prevent it?). Written by Scott H. Young . While the new year promises opportunity, it also brings challenges. Do you have a nagging feeling that you need to try harder? Do you feel that you’ve let yourself down? Productivity guilt is the idea that you should be doing more and achieving greater. You should really exercise four times per week. Not just jogging though, high-intensity interval training. And do intermittent fasting. And drink two gallons of water a day. Don’t forget to meditate. This is productivity guilt. It can impact your motivation and ability to grow personally and professionally. This piece from Scott H. Young delves into a few measures you can try the next time you need a change in perspective. 2. The choice that matters: who is going to write the copy? Your client’s project is ready to launch. Designers have tools at the ready, and your development team is all set for build. But…who’s going to write the copy? This article from Sandro Cantante asks you to choose your own adventure as he investigates the consequences of poorly conceived copy. There are a few less than ideal options out there (especially when there isn’t a dedicated copywriter on hand). Which one will give you the least disastrous results? 3. 10 programming languages to consider learning this year. Are you looking to tackle a new challenge? Whether it’s the autopilot within an aircraft or the digital speedometer on your bike—our world is built in and around computers and code. Programming is a highly regarded skill set that can set you up for opportunities in digital, and beyond. Covering difficulty levels and job prospects, Aman Goel shares his insights on ten programming languages you can try learning right now. 4. Nine books designers should read in 2019. January can be a time of planning and good intentions. While new year’s resolutions tend to be fleeting, reading is a commitment that pays dividends down the track. Editor Kelsey Dollaghan took the time to touch base with leaders in the industry to share their top reads for 2019. It isn’t all design either, with pieces on computer history and animal evolution within the batch. Before you get stuck into something new, contemplate putting some of these titles on your reading list. This article starts with a simple scenario: two front-end developers are sitting at a bar. Although they share the same profession, they have nothing to talk about. In developer circles, there is an ongoing divide between the skill sets of front-ends. Two “front-end web developers” can be standing right next to each other and have little, if any, skill sets in common. That’s downright bizarre to me for a job title so specific and ubiquitous. I’m sure that’s already the case with a job title like designer, but front-end web developer is a niche within a niche already. In this, piece Chris Coyier shares insights from people on both sides of the fence. 6. Stand up for creativity. This piece from Brittaney Kiefer is a rally call to the advertising industry: it’s time to stand up for creativity. In an industry that claims to value new ideas and ways of thinking, a few creative veterans share their thoughts on where companies have lost their nerve, and where there’s opportunity to grow. There is no better time to be creative: as a collective, creators want to develop work that pushes the envelope and maintains momentum for the year to come. 7. Four ways to attract, retain and engage employees. Are you a hiring manager or business owner that wants to engage employees for the long haul? This piece explores why creating the optimal work environment is an opportunity to re-think the way you attract and retain talent. Offering employees transparency, development opportunities, flexibility and the chance to build caters to more than just new talent. One thing that I know for certain is that change is inevitable. Build your business to work for your employees, not the other way around, and you’ll find that attracting and retaining all employees, comes a lot more easily. These tips provide a template to improve the working life of current and future staff for greater productivity and work satisfaction. 8. You can’t be productive without routines and rituals. Here’s why. There are few things that impact your daily productivity, career trajectory, and overall well-being as much as your routines. This piece from Fast Company’s Jory MacKay presents research suggesting that up to 40% of our daily actions are powered by habits. Covering some of the most famous (and bizzare) rituals of creatives, and advice on how to craft a schedule you can actually apply to your workday—try a few of Jory’s tips to maximise the power of your daily routine. 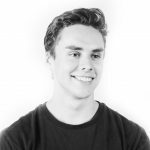 Joining August as part of his industry placement, Geordie is currently completing a double degree in Business Marketing and Design from Swinburne University. With hands-on experience across content production, branding and digital design—Geordie hopes to deepen his creative skill set across all areas of the organisation. His keen eye for videography and photography sees him contribute to our design team both internally and for our clients with well-executed digital outcomes. Currently undertaking a degree in Information Systems at RMIT University, Will joins August as part of his industry-based placement. 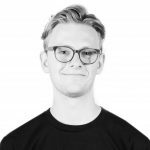 With a background in marketing and experience as an IT engineer, Will brings dedication, enthusiasm and a strong desire to develop his skills in digital. Will’s interest in SEO, analytics and advertising supports his skillset in insights and marketing, and he applies his growing knowledge across the business and our clients.